 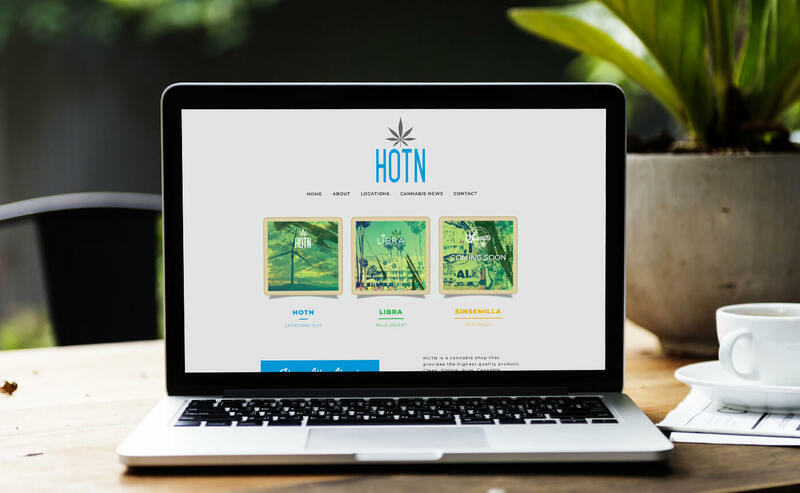 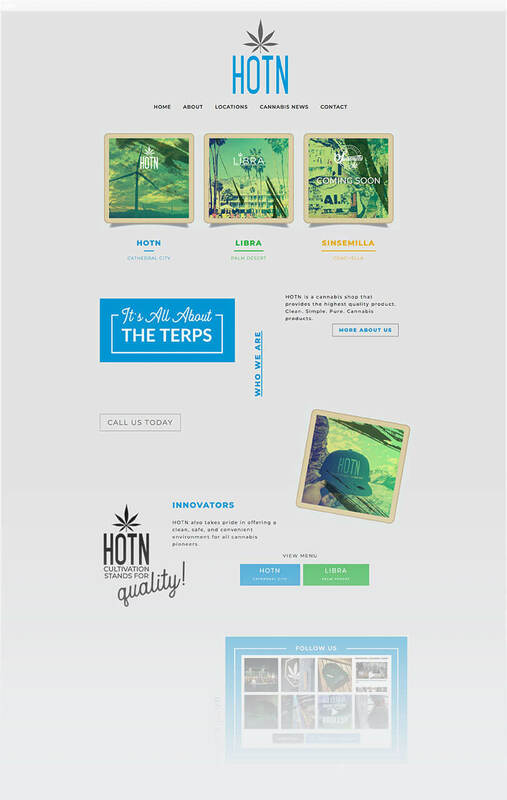  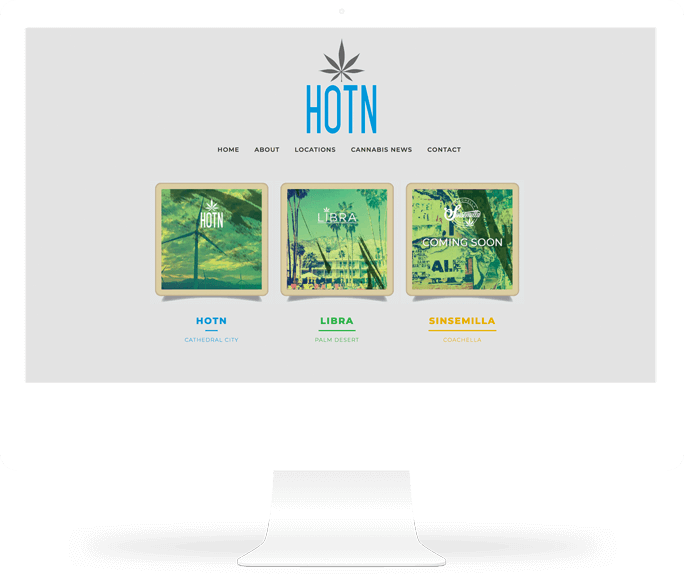 HOTN requested a website for their main brand with portals to each location. 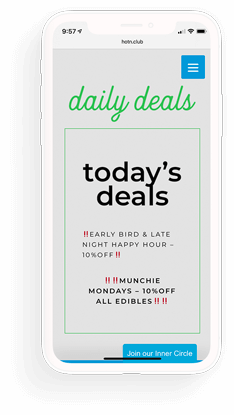 The cannabis shops each have a unique feel and attract different target markets. 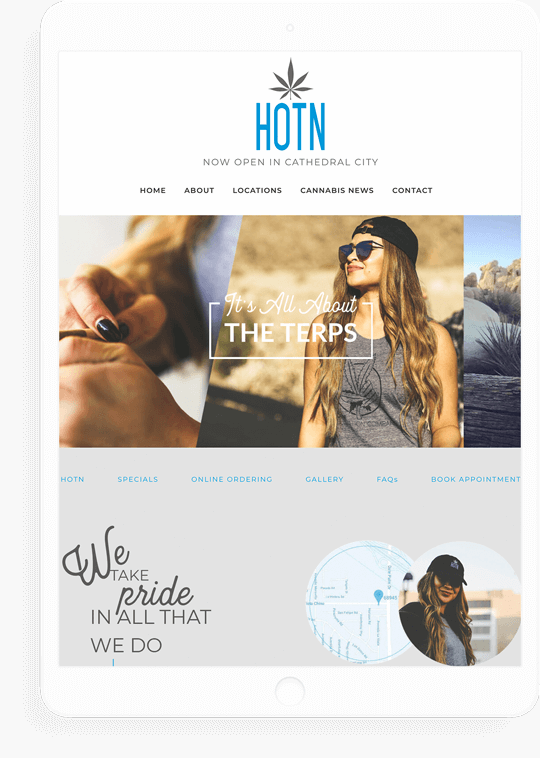 This website integrated youtube feeds, ecommerce integration with Weedly and text marketing with Baker.